College Dorm Bedding Tips - What is Twin XL? When shopping for college dorm bedding for your Twin XL bed it is important to know what you need and when that Twin XL size matters. We're here to give you the break down of the different bedding necessities and if that Twin XL size really matters for it. 1) Sheets- Since your sheets will include a flat sheet, a pillow case, and a fitted sheet, it is important that the sheets purchased are labeled Twin XL. The reason is that in order for the fitted sheet to fit it must be made for Twin XL beds. In other words, it has to be 80" L.
2) Comforters - If you ask some people, they feel that purchasing a twin sized comforter is fine for a Twin XL bed but if you ask others they will tell you that it must be Twin XL. The twin comforter was made for a twin bed which is 75" long with the idea that you get 10" extra length. If that is the perfect length for a standard twin bed, then for an 80" Twin XL bed you would want a comforter that is a true Twin XL which would be 90" long. 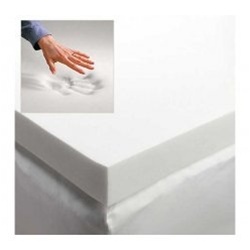 3) Mattress Pad / Mattress Topper / Mattress Encasing - As you can see all these products start with the term mattress, which means in order to fit Twin XL beds and the associated mattress they also have to be sized correctly. You cannot get a twin and expect it to fit. Look for Twin XL sized products with a 79" or higher length. 4) Duvet Covers - A duvet cover is a great addition to college dorm bedding supplies whether you have a Down comforter or not. 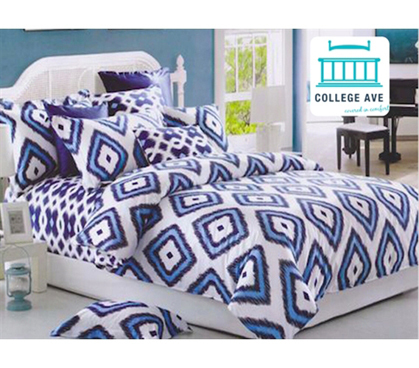 Twin XL duvet covers will provide extra comfort to your bedding and a nice splash of color to your college dorm room. Duvet covers encase your Twin XL comforter and keeps it protected from wear and getting dirty. If you have a Down Twin XL comforter for college, a duvet cover is a necessary addition as a duvet cover is machine washable and your Down Twin XL comforter is not. 1) Pillows - If you are getting a new pillow for your college bedding it does not need to say Twin XL. In fact you probably won't find a pillow that says Twin XL and if you do, that company is doing some really good marketing. 2) Blankets- Most Bed Blankets for college will be standard twin-bed blankets. Due to blankets being tucked, folded, and in general large, it is not necessary to seek the Twin XL label on your dorm's bed blanket. Just remember your Twin Long bed is typically 36" or 39" by 80". If your blanket is bigger, you should be fine. Final Tip: Although looking for the words Twin XL is important, in some cases you'll ultimately want to look for the measurements. Remember your twin long bed is 80" long and if the product is fitted you need 80". There isn't a time in life when getting good sleep is more important than college. With your brain soaking up so much new stuff, you'll need to relax those neurons and fall into long, extended, quality sleep. The best way to ensure good sleep while in dorm life is know about the little ways to add on extra minutes. 1.Plush Comforter- It all starts with a comfy comforter. A comforter is not just a comforter, many retailers sell 180 Thread Count comforters that feel less than cozy. You'll want to a add an ultra plush Twin XL comforter to truly make your dorm bed a place to get good sleep. When you're looking for your Twin XL comforter, you want to also look for a quality fabric that will help you get that amazing sleep or be a soft, cozy comforter to sit and read a book or watch a movie on. Here at DormCo we specialize in ultra comfy Twin XL comforters made of soft 100% cotton or microfiber with a thick fill that won't move around and bunch up in certain areas of the comforter. 2. 3" Memory Foam Mattress Topper- This dorm essential lets you sleep off the long day of studying and working to feel recharged for school. Forget relentless turning in bed, turn your college dorm into the comfy room you always wanted. The dorm bed topper is simply placed on your college bed. This quite possibly is the best way to relax those neurons. College dorm beds can be lumpy and you don't know how old the mattress is- put an extra layer of comfort between you and the mattress. You'll be so glad you invested in the Memory Foam Mattress Topper when you're sleeping better and don't have back pain from sleeping on a 10+ year old mattress! 3. 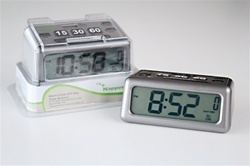 Napper Alarm Clock -You may be thinking, how does an alarm clock help me sleep? Traditionally the alarm clock is the enemy of sleep, but our Napper gets you more sleep by being the easiest-functioning Nap Alarm clock out there! Setting a standard alarm clock for a simple afternoon snooze is not only a hassle, but it is a waste of time. Time that can be better used napping! With our Napper Clock you simply hit the top nap times to give yourself the fastest set nap alarm possible. You can choose 15, 30 or 60 minutes, or if you want 45 minutes just hit the 15 and the 30. If you want 2 hours, just hit the 60 button twice. The time option is your choice. It is literally that simple! 4. 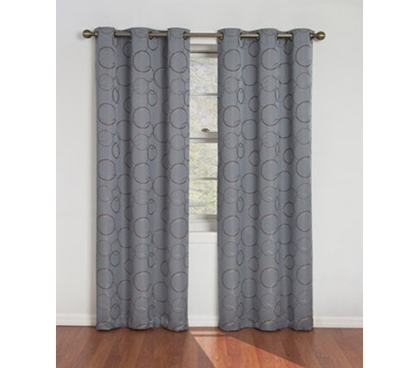 Blackout Curtain- Unlike your room at home that probably has dark curtains or shades that block the sun fairly well, your soon-to-be dorm room will feel as if the sun lives in your room. The college-provided blinds block hardly any sun and unless you like waking up at 8 a.m. on the weekends you’ll need a Blackout curtain. By adding a Blackout Curtain you are ensuring that your dorm room can stay dark and that you can catch a nap no matter what time of the day. 5. Sleep Eye Mask - If you like naps (and seriously who doesn't?! ), then you'll need a Sleep Eye Mask to ensure you can fall asleep in the middle of the day. Sure the blackout curtain would do the trick, but what if your college roommate is up and hanging out? You certainly can't shut the curtains on him or her, so instead of imposing your sleep wants, you can add a quality Sleep Eye Mask to get the darkness and peace you need.